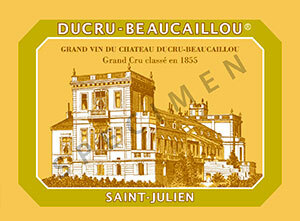 The 2007 Ducru Beaucaillou has a generous red cherry and wild strawberry bouquet armed with very good fruit concentration. The palate is medium-bodied, fleshy in the mouth with slightly lower acidity than its peers. Harmonious and velvety smooth, there is a fair amount of new oak here, but it is very well integrated with a caressing finish. It still has that Burgundian flair. This is excellent considering the growing season. Tasted March 2015.